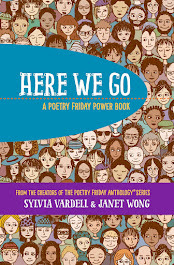 After scanning the recent publisher catalogs and web sites and talking with reps at the ALA Midwinter conference, here’s the list of poetry books for young people that we can be on the lookout for in 2010. Please let me know of any others I can add. 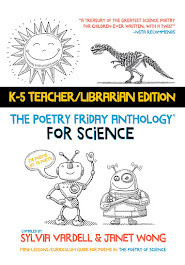 Looks like another interesting crop, with more topical anthologies, intriguing verse novels, updated classics, new voices, fun favorites, science connections, sequels and more. There was lots of buzz at ALA about Stephanie Hemphill’s new Wicked Girls and Marilyn Singer’s Mirror, Mirror and Douglas Florian’s Poetrees and Pat Mora’s Dizzy in Your Eyes and I got a quick look at many of the titles on the list. I can’t wait to get them all, read them, and share them with you. Check back here from time to time and I’ll update this posting with new additions, rather than posting new lists. Happy new year in poetry! Ada, Alma Flor and Campoy, Isabel. 2010. Muu, Moo! Rimas de animales/Animal Nursery Rhymes. Rayo/HarperCollins. Adoff, Arnold. 2010. Roots and Blues, A Celebration. 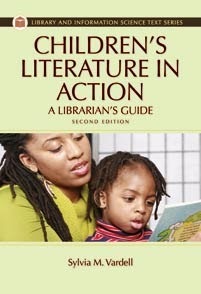 Houghton Mifflin Harcourt. Ahlberg, Allan and Ingram, Bruce. 2010. Everybody Was a Baby Once. Candlewick. Alexander, Cecil. 2010. All Things Bright and Beautiful. Ill. by Ashley Bryan. Atheneum. Archer, Peggy. 2010. Name that Dog. Dial. Atkins, Jeannine. 2010. Borrowed Names; Poems About Laura Ingalls Wilder, Madam C. J. Walker, Marie Curie, and Their Daughters. Henry Holt. Brisson, Pat. 2010. The Best and Hardest Thing. Viking. Blackaby, Susan. 2010. Nest, Nook & Cranny. Charlesbridge. Brown, Calef. 2010. Hallowilloween; Nefarious Silliness. Houghton Mifflin. Cooling, Wendy. (Comp.) 2010. All the Wild Wonders; Poems of Our Earth. Frances Lincoln Children's Books. Crawley, Dave. 2010. Reading, Rhyming, and ‘Rithmetic. Boyds Mills Press. Cullinan, Bernice and Wooten, Deborah. Eds. 2010. Another Jar of Tiny Stars; Poems by More NCTE Award Winning Poets. 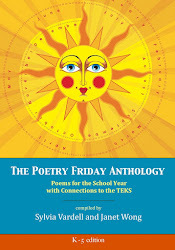 Wordsong/Boyds Mills Press. Denton, Graham. (Comp.) 2010. My Cat Is in Love with the Goldfish. A & C Black. Ehlert, Lois. 2010. Lots of Spots. Beach Lane Books. Elliott, David. 2010. In the Wild. Ill. by Holly Meade. Cambridge, MA: Candlewick. Engle, Margarita. 2010. The Firefly Letters; A Suffragette's Journey to Cuba. Henry Holt. Florian, Douglas. 2010. Poetrees. Simon & Schuster. George, Kristine O’Connell. 2010. Emma’s Dilemma. Clarion. Gottfried, Maya. 2010. Our Farm; By the Animals of Farm Sanctuary. Knopf. Hemphill, Stephanie. 2010. Wicked Girls; A Novel of the Salem Witch Trials. HarperCollins. Holbrook, Sara. 2010. Zombies! Evacuate the School! 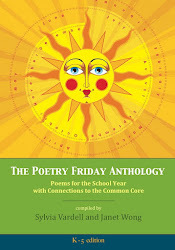 Wordsong/Boyds Mills Press. Hopkins, Lee Bennett. (Ed). 2010. Amazing Faces. Ill. By Chris Soentpiet. Lee and Low. Hopkins, Lee Bennett. (Ed.) 2010. Give Me Wings. Holiday House. Hopkins, Lee. Bennett. (Ed.) 2010. Sharing the Seasons. Margaret McElderry. Houle, Michelle M. (Comp.) 2010. Poetry Rocks: Modern British Poetry; “The World is Never the Same.” Enslow. Hubbell, Patricia. 2010. Snow Happy! Tricycle Press. Jackson, Rob. 2010. Weekend Mischief. Boyds Mills Press. Johanson, Paula. (Comp.) 2010. Poetry Rocks: World Poetry; “Evidence of Life.” Enslow. Katz, Alan. 2010. Too Much Kissing; And Other Silly Dilly Songs About Parents. Simon & Schuster. Koertge, Ron. 2010. Shakespeare Makes the Playoffs. Candlewick. Lawson, JonArno. 2010. Think Again. Kids Can Press. Levy, Debbie. 2010. Maybe I’ll Sleep in the Bathtub Tonight. Sterling. Levy, Debbie. 2010. The Year of Goodbyes; A True Story of Friendship, Family and Farewells. Hyperion. Lewis, J. Patrick. 2010. The Fantastic 5 & 10 Cent Store. Schwartz & Wade/Random House. Lewis, J. Patrick. 2010. Skywriting: Poems in Flight. Creative Editions. Llanas, Sheila Griffin. (Comp.) 2010. 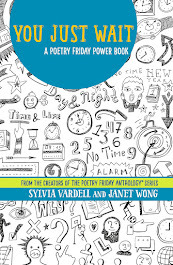 Poetry Rocks: Contemporary American Poetry; “Not the End, But the Beginning.” Enslow. Luján, Jorge. 2010. Brunhilda and the Ring. Translated by Hugh Hazelton. Groundwood. Mavor, Sally. (Comp.) 2010. Pocketful of Posies; A Treasury of Nursery Rhymes. Houghton Mifflin. Mora, Pat. 2010. Dizzy in Your Eyes; Poems About Love. Knopf. Nesbitt, Kenn. 2010. The Tighty Whitey Spider. Sourcebooks. Nye, Naomi Shihab (Comp.) 2010. Time You Let Me In; 25 Poets Under 25. Greenwillow. Paschen, Elise and Raccah, Dominique. (Comp.) 2010. Poetry Speaks; Who I Am. Sourcebooks. Peters, Lisa Westberg. 2010. Volcano Wakes Up! Henry Holt. Prelutsky, Jack. (Comp.) 2010. There’s No Place Like School. HarperCollins. Raczka, Bob. 2010. Guyku: A Year of Haiku for Boys. Ill. by Peter Reynolds. Boston: Houghton Mifflin. Richards, Jame. 2010. Three Rivers Rising. Knopf. Rockwell, Thomas. 2010. Emily Stew with Some Side Dishes. Roaring Brook Press. Rosenthal, Amy Krouse. 2010. The Wonder Book. Ill. by Paul Schmid. HarperCollins. Saltzberg, Barney. 2010. All Around the Seasons. Candlewick. Shannon, George and Brunelle, Lynn. Chicken Scratches; Poultry Poetry and Rooster Rhymes. Chronicle. Sidman, Joyce. 2010. Ubiquitous; Celebrating Nature's Survivors. Houghton Mifflin. Sidman, Joyce. 2010. Dark Emperor and Other Poems of the Night. Houghton Mifflin. Singer, Marilyn. 2010. Mirror, Mirror. Dutton. Smith, Charles R., Jr. 2010. Black Jack; The Ballad of Jack Johnson. Roaring Brook Press. Spinelli, Eileen. 2010. The Dancing Pancake. Knopf. Stevenson, Robert Louis. 2010. A Child’s Garden of Verses. Ill. by Barbara McClintock. HarperCollins. Swaim, Jessica. 2010. Scarum Fair. 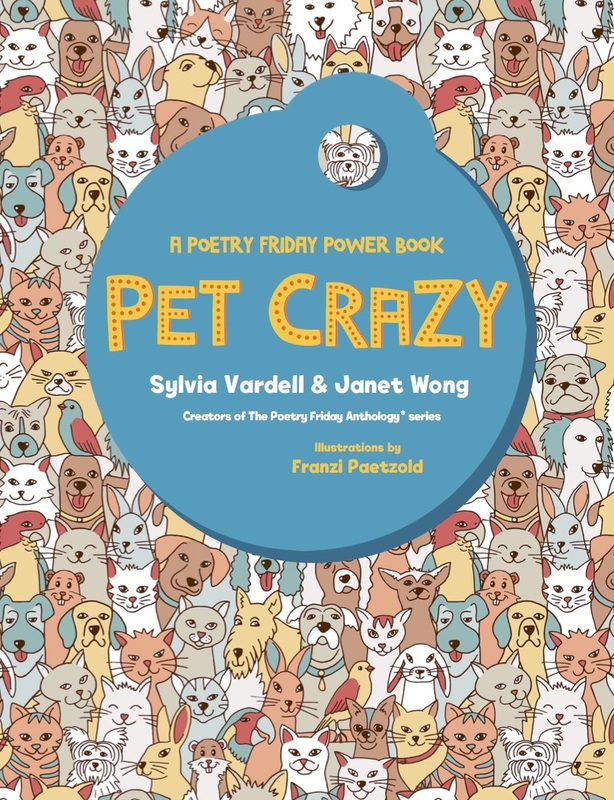 Wordsong/Boyds Mills Press. Swinburne, Stephen. 2010. Ocean Soup; Tide-Pool Poems. Charlesbridge. Trapani, Iza. 2010. Rufus and Friends School Days. Charlesbridge. Watson, Renee. 2010. A Place Where Hurricanes Happen. Random House. Weinstock, Robert. 2010. Can You Dig It? Disney-Hyperion. Williams, Carol Lynch. 2010. Glimpse. Simon & Schuster. Wolf, Sallie. 2010. The Robin Makes a Laughing Sound. Charlesbridge. Yolen, Jane and Peters, Andrew Fusek. 2010. Switching on the Moon; A Very First Book of Bedtime Poems. Candlewick. Zimmer, Tracie Vaughn. 2010. Cousins of Clouds; Elephant Poems. Clarion. Czekaj, Jef. 2010. Hip & Hop, Don't Stop. Disney-Hyperion. Flake, Sharon. 2010. You Don’t Even Know Me; Stories and Poems about Boys. Hyperion. Glaser, Linda. 2010. Emma’s Poem; The Voice of the Statue of Liberty. Houghton Mifflin. Grimes, Nikki. 2010. Nikki Grimes: Out of the Dark. Richard C. Owen. Kooser, Ted. 2010. Bag in the Wind. Candlewick. Kumin, Maxine. 2010. What Color is Caesar? Candlewick. Nelson, Jandy. 2010. The Sky is Everywhere. Dial. Perdomo, Willie. Clemente. Henry Holt. Ryan, Pam Munoz. 2010. The Dreamer. Ill. By Peter Sis. Scholastic. Watson, Renee. 2010. What Momma Left Me. Bloomsbury. Yolen, Jane. 2010. Jane Yolen: On the Slant. Richard C. Owen. I’m so glad to see a few more 2009 poetry gems get this recognition. Congratulations to all these poets! Posting by Sylvia M. Vardell © 2010. All rights reserved. 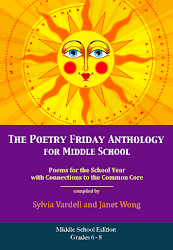 Once again, the Coretta Scott King Award committees selected poetry books for several distinctions. 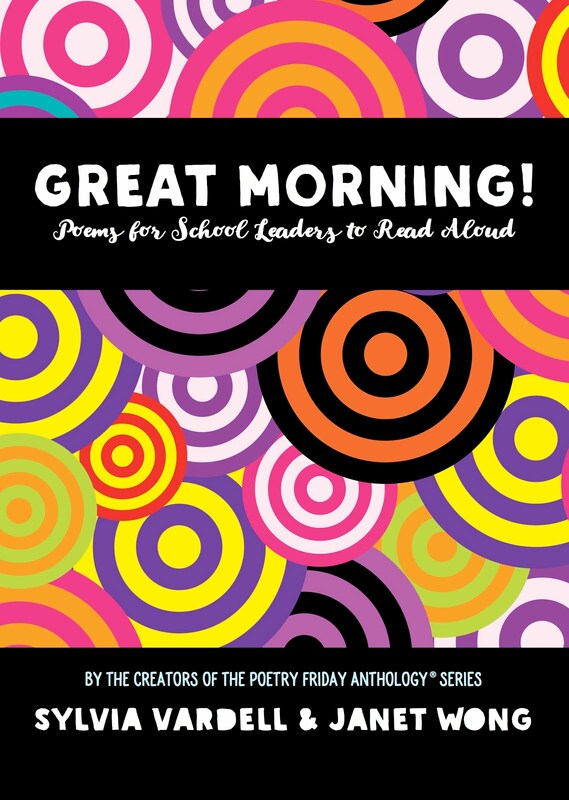 Langston Hughes was the big winner here! 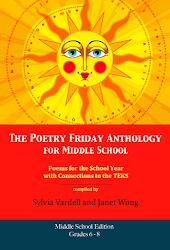 Once again, the Pura Belpre Award committee included poetry books in its final list. Diego, Bigger Than Life written by Carmen T. Bernier-Grand and illustrated by David Diaz won BOTH an Author Honor distinction AND an Illustrator Honor distinction. TWO of Pat Mora’s poetic picture books were also recognized. Book Fiesta! : Celebrate Children’s Day/Book Day; Celebremos El dia de lost ninos/El dia de los libros won the Illustrator Award for the art of Rafael Lopez and Gracias/Thanks won an Illustrator Honor distinction for the art of John Parra. Finally, Federico García Lorca, by Georgina Lázaro, received Author Honors for Lázaro’s lyrical picture book biography-- entirely in Spanish. 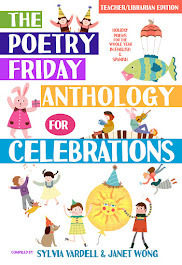 Finally, Caldecott honors went to another Joyce Sidman poetry collection! Pamela Zagarenski won for her illustrations for Joyce’s book, Red Sings from Treetops: A Year in Colors.